This past Thursday our Jazz Ensemble participated in the Florida Bandmasters Association Jazz Music Performance Assessment. 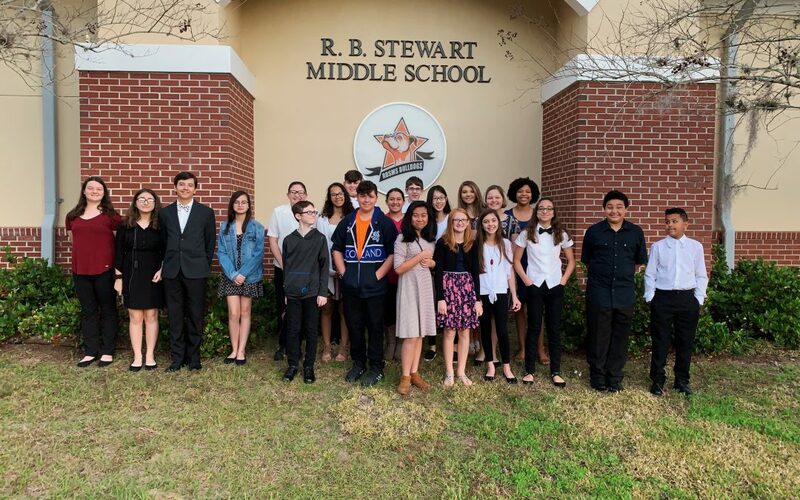 Our Jazz Band was one of only two Middle School Jazz Ensembles to participate from Pasco, Hernando, and Citrus Counties! Our students did a great job and earned an Excellent rating (the 2nd best rating possible)! Below you can listen to the recordings from our performance. 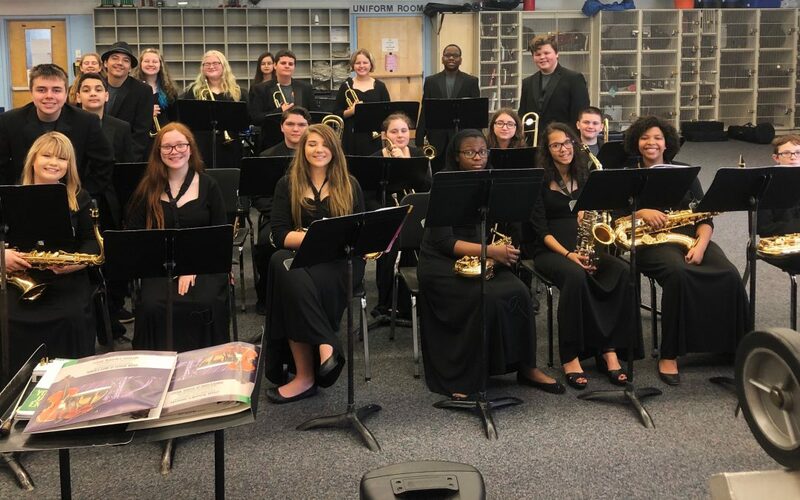 Congratulations to all of our band students who participated in the Florida Bandmasters Association’s Solo & Ensemble Music Performance Assessment. All of our students did a fantastic job. Students could earn a rating of Superior (best), Excellent, Good, Fair, or Poor (worst). You should arrive 30-45 minutes early to check-in. Once checked-in, find your room, then go warm-up. You should be at your solo room 10 minutes prior to your performance time. Don’t go in until the previous musician is finished with their performance. Don’t worry about your piano accompanist, she will meet you in your room! Be sure to dress appropriately. Unacceptable performance attire typically includes Jeans, Athletic Shoes, T-Shirts, Flip-Flops, Short Skirts, Sandals, etc…. You will not receive your rating until later in the day (typically 10-20 minutes after your solo). Do not ask your judge. The host school usually posts everyone’s ratings near the warm-up room. Also, when you’ve finished performing and have received your rating, you are free to go home with your family! DO NOT LEAVE until you’ve seen Mr. Schmidt after your performance! If you have any questions, Mr. Schmidt will be there to watch your solos and to help you. Go to Charms (http://www.charmsoffice.com) and login. Once logged in, select “Handouts & Files”. From here you can access any file you may need to download/print. While in Charms, be sure to update your contact information, check our calendar, and submit your performance objectives. If you have any questions or difficulty, please contact Mr. Schmidt. – MLK Day – No School! – Jazz Rehearsal from 3:00-4:30 p.m.
– All rehearsals count towards a students 3rd quarter grade. – Concert, Symphonic, Jazz and Chorus need their band/chorus shirts for these photos. – Symphonic Band Rehearsal from 3:00-4:30 p.m.
Students & Parents – Don’t forget to practice daily. In Band/Chorus we don’t have homework, but we do ask you to practice. Your practice goal should be 20-30 minutes per day (at least 5 times per week). If your student completes their practice homework, they’ll quickly improve. Students who do not will fall behind in class. If you or your student need information on how to create a practice schedule, please email me at bschmidt@pasco.k12.fl.us.